What products were you considering? 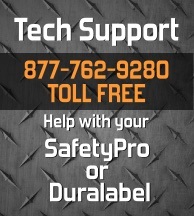 Before you buy a Brady, Duralabel, or other industrial labeling system, let Industrial Safety Solutions save you money. Find out how much you could save; get your Quick Quote now:. Check if you have already recieved a quote from another company and are interested in learning how you can save an additional 10% or more on your order. * Images on this page are for presentation purposes only.